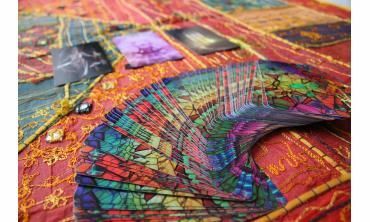 All our Tarot Card Reading events/trainings in chandigarh are conducted by certified Tarot Card Readers, who have at least one year of professional experience. When you book an event/training at Life Positive, you are protected by the Life Positive seal of trust. Movies have surely stereotyped tarot card readers. You can see them wearing flowing robes in a dimly lit den with weird rings in all fingers. They are ready to drown you with forecasts of the doom! Well, don't think that joining tarot reading courses in Chandigarh will transform you into an "abnormal" being. You will be as normal as you are. In reality, tarot card readers are normal people. You may not find flowing robes and mystical rooms. 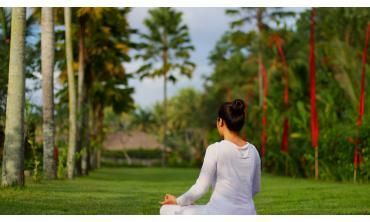 Yes, you need to have a quiet room to be able to connect with your spiritual side during a reading session. It is important to have an open mind. Shed stereotypes, please. 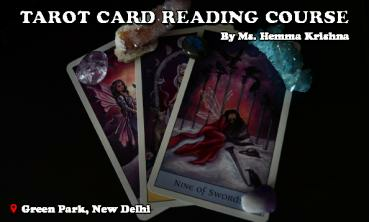 This is especially relevant for sessions and for tarot card reading training in Chandigarh. You can share your life's problems with a tarot card reader without hesitation. In case the card reveals something negative, the reader helps to develop strategies for your life. It is not necessary that whatever is written on the card will "happen" to you. Also, while enrolling for tarot reading training in Chandigarh, you must expect the unexpected. It's a completely different world out there. If you think you have it in you...to read cards...to be the light of somebody life's path... enroll today for one of the tarot card reading training in Chandigarh. Tarot card features a deck of 78 cards. Each has a distinct story, symbol, and keyword. There are 22 Major and 56 Minor Arcana cards that represent spiritual and practical facets of life, respectively. The Minor Arcana cards consist of 16 Court Cards. They represent 16 personality traits. Then, you can find 40 numbered cards. They are classified into 4 Suits: Wands, Swords, Pentacles, and Cups. Know more about tarot cards, how to use them, and more by enrolling for one of the best tarot card reading courses in Chandigarh. Tarot cards are like mirrors. They help you face life's situations with more clarity and guidance. They do not tell your future exactly, but they tell you what you can expect based on your present life. Feelings of doubts and chaos go away. You get a clear view of what you need to do. In short, this is an exciting thing to do. There is no harm in trying. 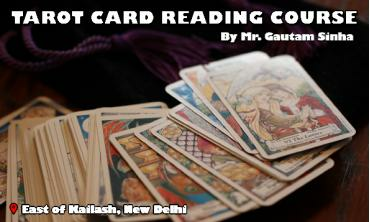 Attend a workshop or enroll for a tarot card reading courses in Chandigarh. Who knows? You might find your life's purpose - something that people are desperately seeking!